We often think of a tablet as a device for consuming content. Something that lets you watch a movie, read a book, or play a game. One of the most engaging tasks you can give a student is to become a creator. This might mean that they design an experiment, write a book or even make a movie. All of these tasks require higher order thinking and give you a chance to assess student understanding. 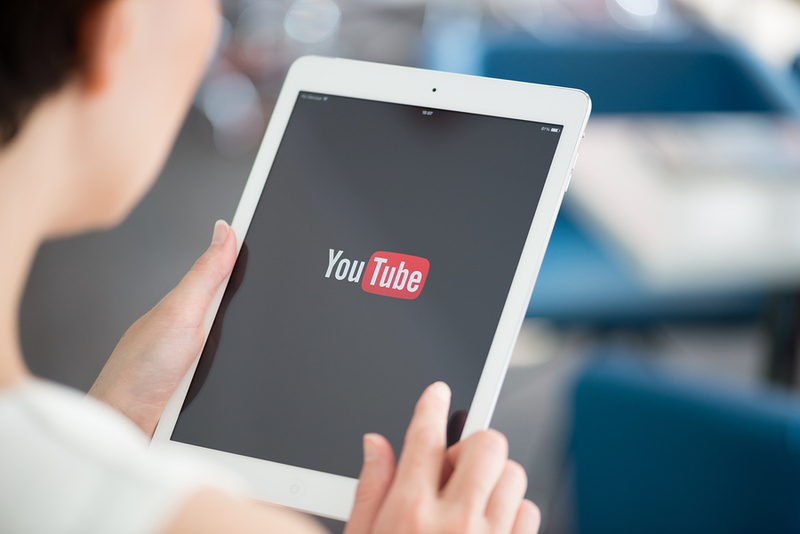 There are lots of ways that teens can create their own videos but a handful of iPad apps make this process manageable for both teachers and students. With these dynamic tools, teens have the power to tell a story. Whether they are recounting historical events, filming a public service announcement, or publishing a video tutorial for solving a math problem, the iPad is a wonderful tool for student learning. One of the most powerful apps in the iWork suite is iMovie. This creation app is perfect for teens and teachers who want to create their own videos. It gives users the option to work off of templates to drag and drop their own content. Students can place music and audio tracks over pictures and add titles and effects to each clip. iMovie also has the option to create trailers which can be a fun option for students looking to demonstrate their understanding of a topic by using a familiar video format. Although iMovie has plenty of high quality features it won’t be overwhelming for new users who can follow along with the instructions on the screen to create a simple or complex final product. This user-friendly iPad app might look a little elementary but it’s a great choice for middle school and high school students. Teens can grab a picture from the Internet and save it to their camera roll or snap a photograph of a primary source document. With ChatterPix Kids, students will slice a mouth on an image of a person and record their voice speaking through them. The video they create with this app can be used by students to explore a historical figure’s perspective or give a voice to a character in a book. If you want to give students a few options when completing a research project on a topic, you might want to include Stop Motion Studio on their list. This app lets teens create stop motion videos and is perfect for storytelling. Your students can recreate an event from world history or show how two historical figures interacted with one another. This app gives teens the power to demonstrate their understanding of a topic while they move figurines across a tabletop. The iPad is a wonderful creation tool that can be used throughout the content areas. Your students can use video apps to show off what they have learned about a topic as opposed to writing traditional reports. With these engaging apps you’ll transform how students interact with content and how you assess student understanding. Have you used video creation apps with students? Share your experiences below!